A placement sing is not an audition because you can't possibly be rejected! ​Juneberry believes singing is your birthright. The placement sing is to help you get in the group where you can sing with the most pleasure and best fit. That might be the Vocal Exploration class, it might be the Community Chorus, it might be a recommendation to check out another Upper Valley chorus where the music seems like it would hit your sweet spot. It might be a combination of Community Chorus and Vocal Exploration, or a combination of Community Chorus and Skills Class -- the point is to try whatever combination is most likely to let you get to know your voice better and find deep fulfillment in your singing. There are four placement sing time chunks at the beginning of each term: two before the first week, and two during the first week. 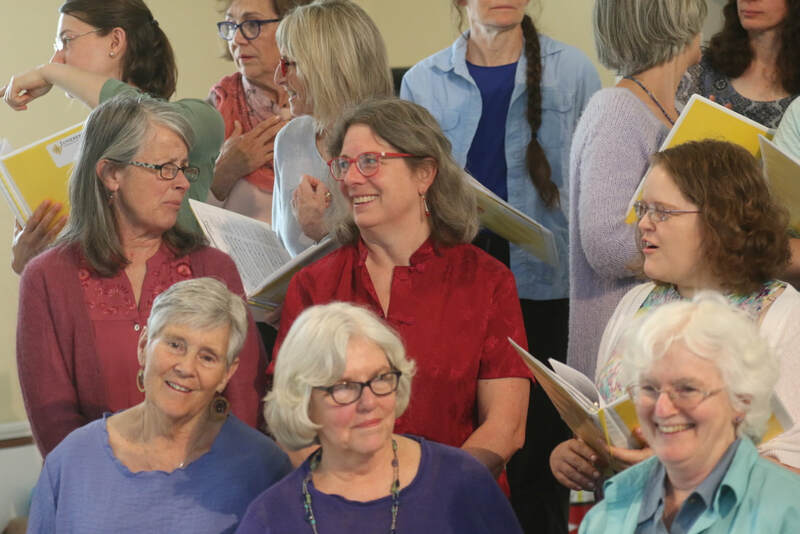 If you are considering registering for the Juneberry Chorus, and you have not sung with Patricia before, you need to be able to schedule a 1/2 hour placement sing during one of those slots. 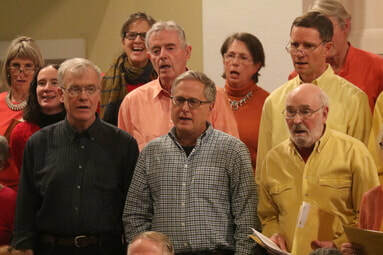 Up to six people do a placement sing together. We do some of the same kinds of warm-ups the chorus does, sing a familiar round, and figure out your comfortable vocal range. You tell Patricia your singing story and what you'd like to do; she'll make a recommendation about how to get there. The placement sing is free and does not commit you to anything; you can do it before or after the first rehearsal of the term. By the second week of the term, singers must be registered with the UVMC to participate. What about current chorus members? We want to do it, too!